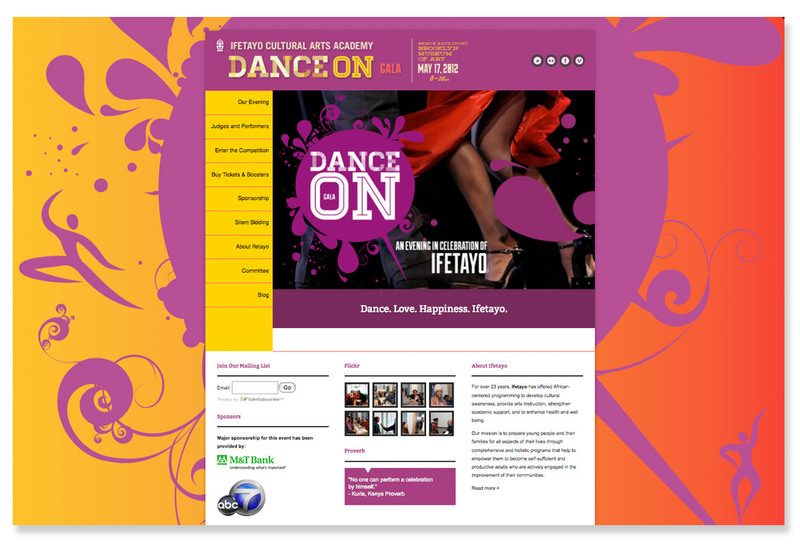 We recently branded and produced materials for Ifetayo’s Dance On. 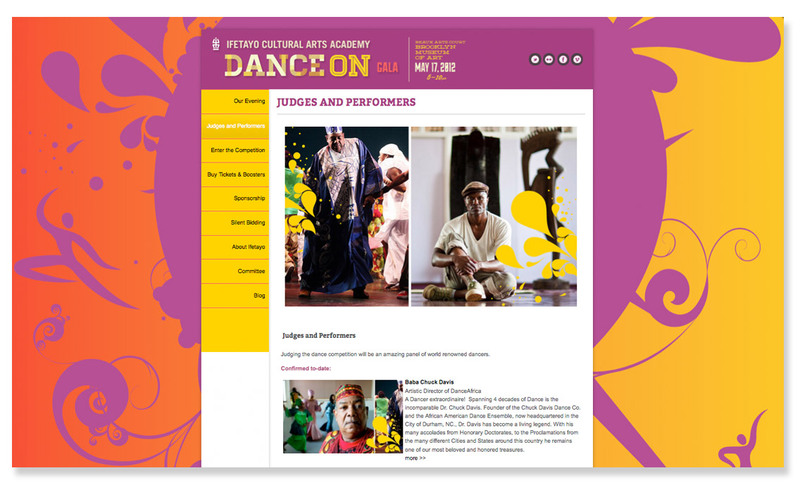 The event features celebrity judges, performances and dance competitions. 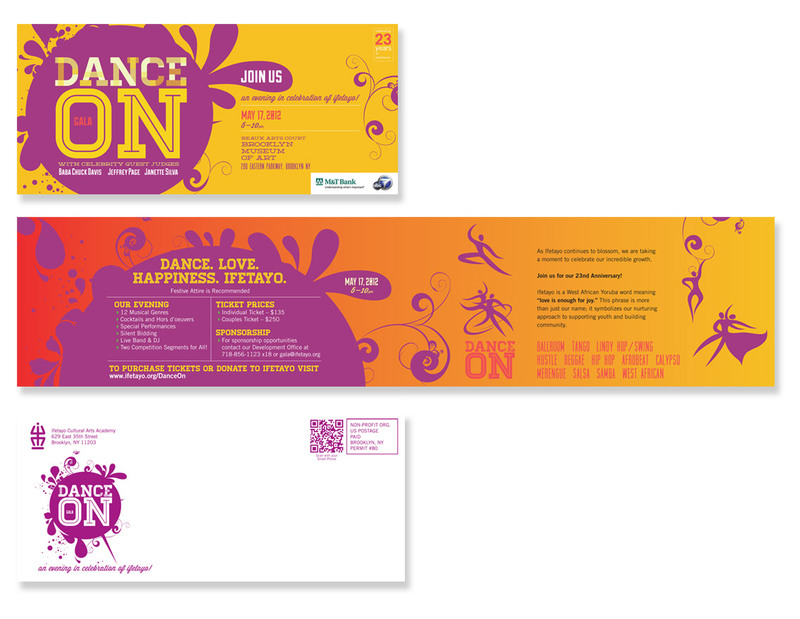 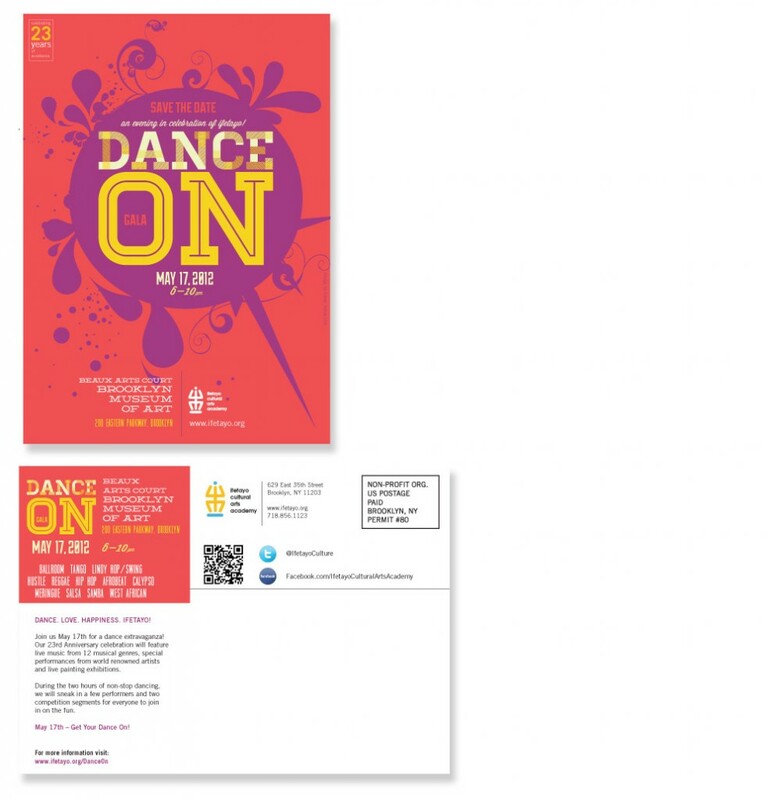 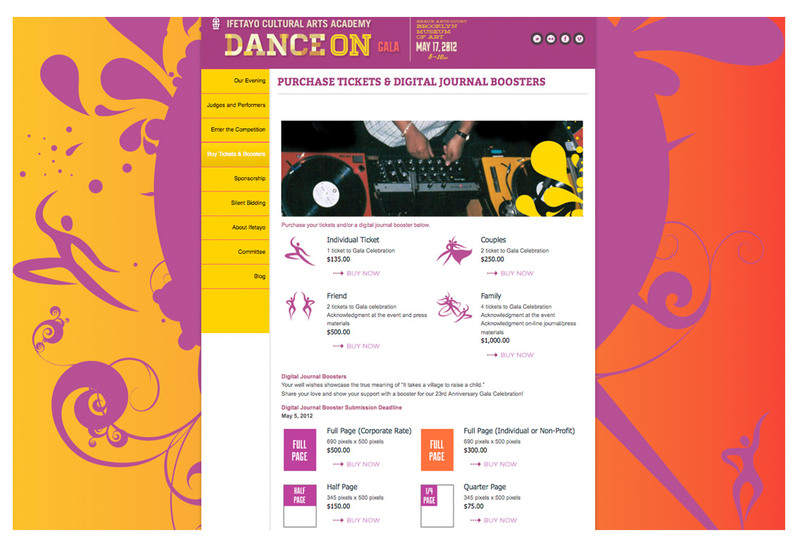 Below are examples of our Dance On save the date postcard, invitation and website.